The following is not financial advice. Welcome to back The Scoop! This is the next post at a place where we share analysis and opinions for interesting coins, tokens and pure gems in the vast landscape of the blockchain world. There's so many coins out there, but not a lot of free information (looking at you, paid groups) and analysis on them. The Scoop aims to change that by sharing and improving the data available for a given coin. It's Ethereum before the fork where the ETH folks reversed DAO situation where money was stolen from a buggy smart contract. ETC is immutable, fungible and strictly adheres to the principle that code is law. This could be key for systems that require that kind of guarantee, think IoT, accounting, avionics, space tech, etc. They previously had an ETC Business called ETCBets, which is a provably favor casino game using ETC, but that has since been deprecated. Interesting to see if there will be a successor to replace it in 2018. How many of them are they? CMC says ~98m circulating and it's monetary policy is different than ETH with supply capped at 210m to 230m max. They have quite a solid org, from the engineers to the advisers and have been growing a lot lately. Three different dev teams! One could expect the marketing and business side to ramp up in 2018. 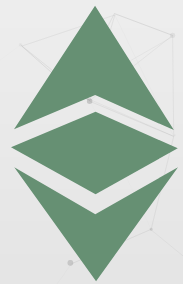 It's ETH, but with a different (and some would say stronger) philosophy and core values. It's even rumored to be in the running for a high profile listing on the most popular place to buy crypto.. coughCoinb[...]cough. Although, it's got to get in line... $XRP has solidified itself as, if nothing else, being wanted by many. Based on the FA, ETC looks like a low to medium risk with high reward potential if they can market themselves in a way where it makes sense for enterprises and mission critical projects to adopt it. Picking it up under 220k sats would be bargain or under $40 would be an upper entry while still expecting solid gains. Remember, absolutely NOTHING you read on this blog, twitter or otherwise content anywhere on the Internet by the authors is financial advice, so DYOR and be responsible! One more time in case you didn't see the first two: this is NOT financial advice! Also, The Scoop authors may hold coins discussed here which may creates some bias, but we try to be fair.